Discussion in 'Automobilista - Help & Support' started by Dave Stephenson, Sep 18, 2017. If you only need/want a single installation of the dedicated server and wish to install via the standard Steam desktop client open the link below on the machine you wish to install on in your browser or 'Start > Run'. If you do not wish to be tied to the desktop client or would like to maintain multiple installations, for example one modded and another clean, continue on to the SteamCMD information below. Valve provides the SteamCMD tool to users as a means to perform the installation, update, and validation, of games from the command line without the need for the standard Steam desktop client, making it ideal for use in server installations. It has many benefits including being scriptable, allowing automation of the process, and not being limited to a single installation of each appid as the main desktop client is. The AutomobilistaDedicatedTemplate.zip attached to this post contains everything you need to get started with SteamCMD installs of Automobilista dedicated server. It contains the steamcmd.exe binary and two batch files to perform the install. Simply extract the contents on the machine you wish to run the server and run Server1_update.bat. This will update the included SteamCMD installation before downloading and installing the Automobilista dedicated distribution to the newly created server1 directory. To update the installation run Server1_update.bat again. SteamCMD will once again update itself if required before acquiring any new files for the game installation if there are updates available. It is safe to run even when no updates are available. Running Server1_validate.bat will perform validation on the installations files. It will re-download and replace any files which have become change or corrupted. It will also download any new game updates if they are available. On our servers we typically always use the validate script to perform updates. It takes a little longer if there are no updates due to the file checking but also ensures that there are no corrupt/missing files which may cause users mismatching issues. Multiple installations are not required in order to host multiple server instances. it is however vital that each instance has it's own user profile to avoid port clashes. Each profile has it's own Multiplayer.ini which needs to have ports assigned that are different from each other running instance of the dedicated server application. The dedicated server uses the same profiles as the main game (typically in 'My Documents\Automobilista\userdata'). To create a new profile without launching the game copy an existing profile directory with a new name for the profile. If this is a brand new install of only the server and there are no existing profiles, launch AMS Dedicated.exe and exit at the mod select screen. A profile named 'DedicatedServer' will have been created which you can use as the base for any additional profiles required. More information on ports and firewall rules is available in the Automobilista Manual. Cheers for the heads up. It will work if pasted into a browser or into 'Start > Run'. I've removed the link and amended the text to reflect that. The SteamCMD is very good for small servers like Amazon. But I think it would be even better if the original Cars and Tracks were placed as workshop items (even secretly) so that only the content needed to open the servers was downloaded. Take advantage as a tip for future updates. I have a question: When the AMS have an update, we have update the AMS in SteamCMD manually? If you used steamcmd to install it (not the tool on steam), then I believe you must do it manually yes. I have been chatting with Renaldo...and have one up in the lobby as a test server in Karts. I am getting a error page in: Firefox, Explorer and Chrome...I am not entering via Steam and this is the SteamCMD install.. The address was not understood in all 3 browsers..
How can I use beta versions on CMD ? We don't currently maintain old versions in the dedi tool. We provide them in the main game release to ensure that people who receive automatic updates from steam can still connect to servers that may not have been updated yet shortly after release. and enter your password/steamguard details when prompted. Thanks Dave, but what's the beta names for SteamCMD command ? the currently available beta channels are listed in the steam client. The names for using in steam command are the same as they appear there. Right click ams in the library and choose properties. On the betas tab there is a dropdown with the list. Note that in your original example above you had v1.5.10 but that is the current release version so doesn't not need to be specified as a beta channel. You can use the standard dedi install instructions for that. You also don't need the quotes if I recall correctly. Dave from NRT...I have the weirdest issue and can't for the life of me sort it out...hope you have a resolve. I have added all the firewall ports for MatchMaker, Steam and updater.. 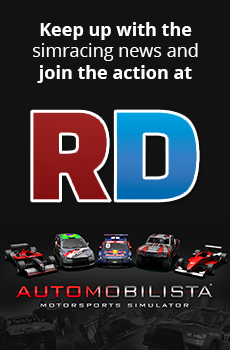 The First server: Red Arrow Racing is showing OK and Join-able. Hope you can sort this for me..
Hi Dave. Authenticator Port and Master Server Updater need to be unique for each server. These are both steam ports and need to be unique to the instance. Master Server Updater is the port which will be registered to the steam lobby for receiving server queries and is then used by the steam master server, steam clients, virtualxperience etc to query the server for it's status, player lists and join port using valve's libraries and protocols. Could you remove '+quit' from the end of the line in the bat file so the window does not close and run it again, posting screenshots of any errors. Thanks. @Emerico the only time I've seen that previously is when steamcmd could not write to the directory. In my case it was because I had mistakenly run the update as administrator once and then could not run it as a normal user due to file permission issues. If you haven't already I'd suggest completely removing the install directory (or changing the target directory in the bat file) and trying again. Failing that the tool is from Valve so you may have some joy finding out about the specific error on their forums.